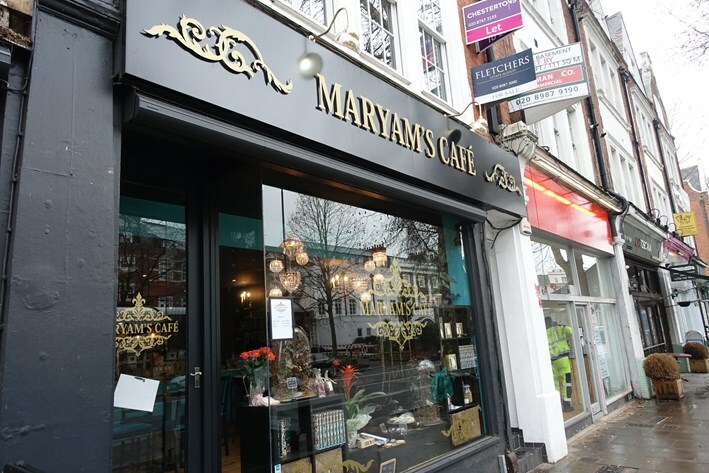 Maryam’s Café opened on 31st December 2018, the first venture of food blogger and cookbook author Marayam Sinaiee, who was formerly a political analyst and journalist. The café is on the Chiswick High Road, with a dining area as you enter in front of a counter, with further seating set back from the main room. 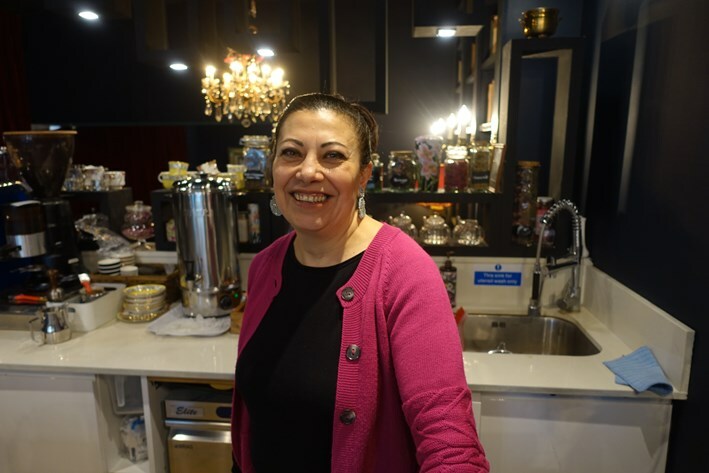 Ms Sinaiee recently published the Persian cookbook “Nightingales & Roses: Recipes from the Persian Kitchen“, so not surprisingly the food here is Persian. At present it is only open at lunch and in the afternoon, and has no alcohol licence. However if you want to bring wine then this can be accommodated. 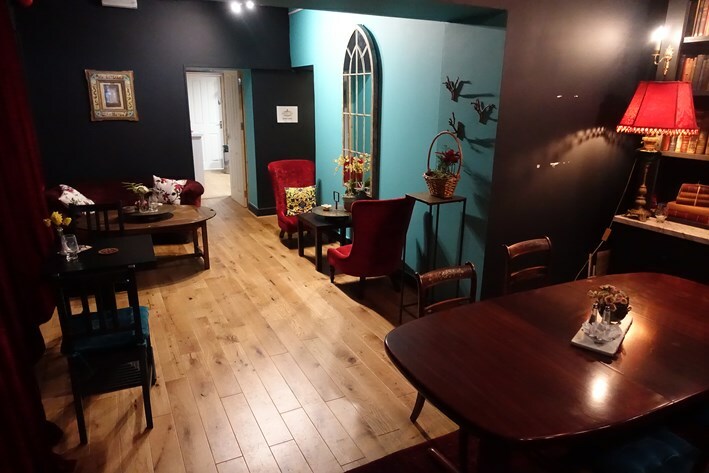 The room has a charming, homely feel, feeling more like someone’s living room than a café/restaurant. There is no printed menu. Instead some dishes are prepared daily, and displayed at the counter, where you order. 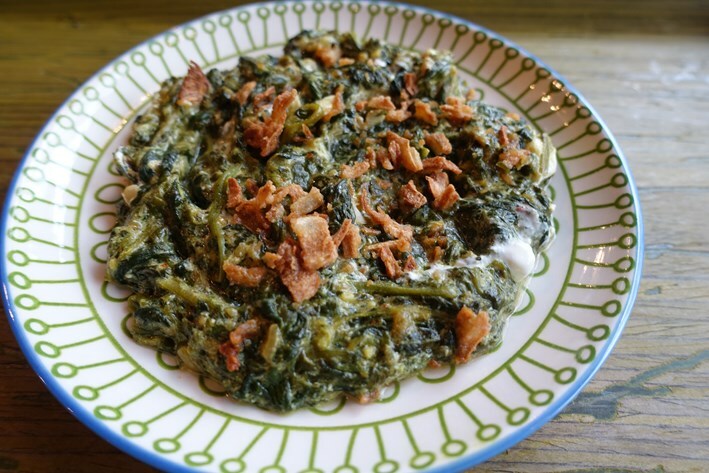 I started with a salad of spinach, yoghurt, onions and walnuts, which was simple but had a nice flavour balance (12/20). 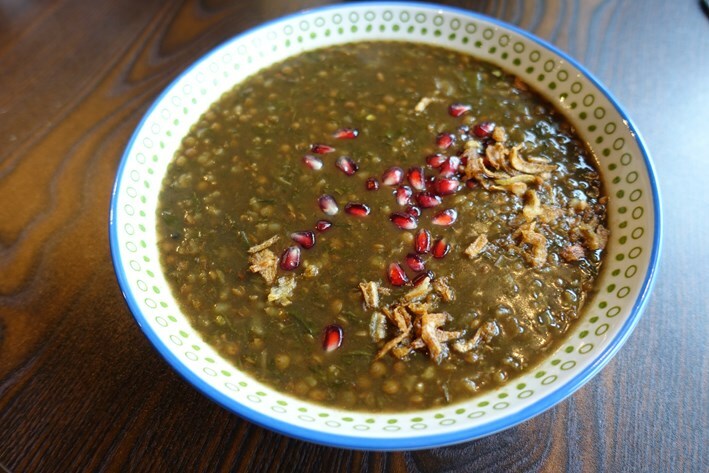 Green lentil soup was made with rice, tarragon, pomegranate seeds, pomegranate syrup, and crisp onions. This was enjoyably warming on a very cold day, the pomegranate seeds adding a little sharpness that freshened up the taste of the soup effectively (13/20). 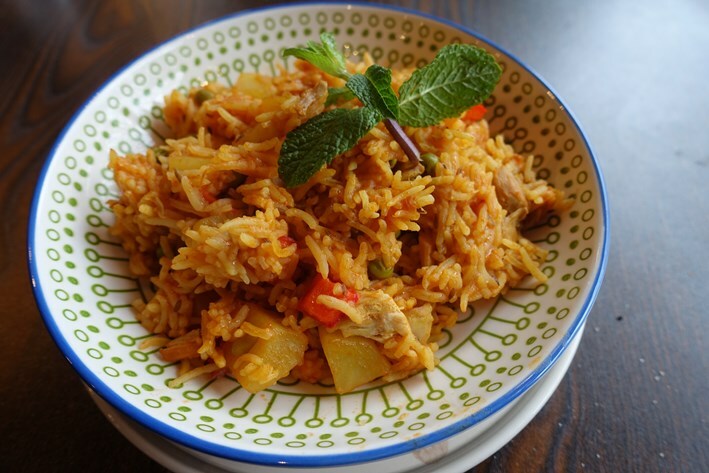 Rice with chicken and saffron was the main course. This was cooked with tomatoes, pepper, peas and spices and was perfectly pleasant, the rice properly cooked, though for me it was a touch under-seasoned (12/20). 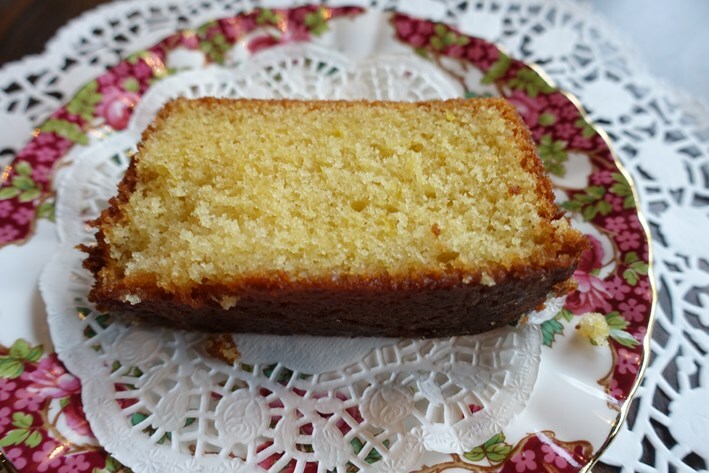 For dessert I had a lemon drizzle cake, made from scratch in the kitchen. This was very enjoyable, the cake avoiding dryness and the level of acidity of the lemon just right (14/20). Coffee was from Beanworks in Brackley, and was very good indeed. It is hard work finding decent coffee in London, and this was a pleasant surprise. Service was friendly, and the bill was £26.15 for three courses and mineral water, plus a couple of coffees. This is pretty typical of a likely cost per person, given that if you did bring wine you would not be charged corkage currently. 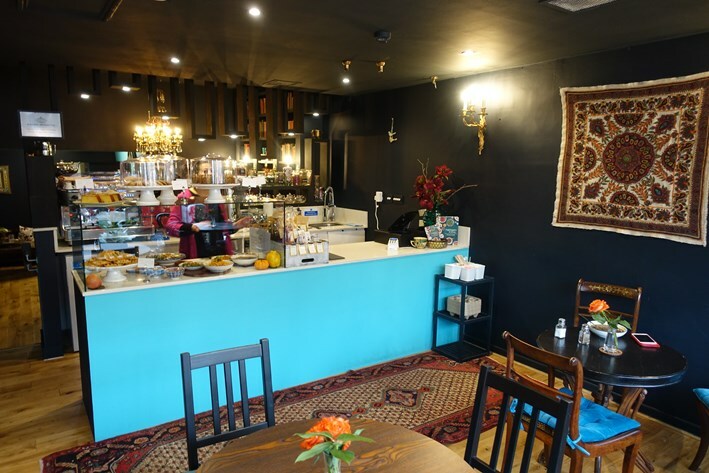 I enjoyed Maryam’s Café, with its homely feel, interesting dishes and good coffee. It is a local place rather than a destination restaurant, but if you are in the area during the daytime then it is well worth a look.